drops of snofleks - 雪片の物語*✲ﾟ*: have i played pingpong before? 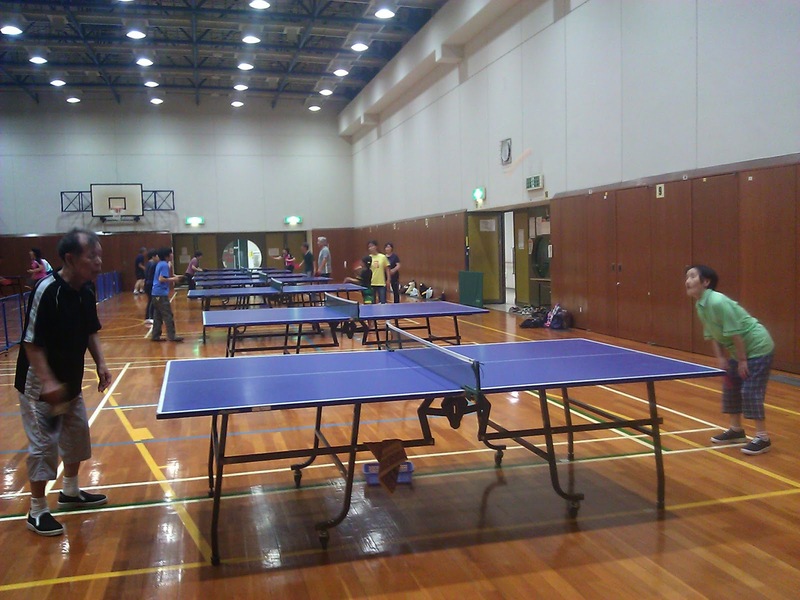 I don't remember the last time I tried my hand at table tennis. So the convenient answer would be, no, I have not played before. I've probably tried for a few minutes before giving up, would be the accurate response. I was a little nervous joining my 60+ year old colleague and his coach for a game of table tennis. Here at the forefront are the coach's parents who are probably 70+. I'm sure in their heydays they were at their fittest and best form. Being the youngest, I really appreciated his patience and guidance. He was generous with his compliment - he commented my serves improved. But truly, I have much to work on. My 60+ year old colleague plays at least 4 sports on an almost-daily basis - badminton, basketball, ping pong and volleyball, not to mention regular visits to the gym!